My “SERVICE ENGINE SOON” light came on today. I hate that light. It is probably the most evil light in the world. That one light can mean everything from “Your fuel cap isn’t on tight enough” to “In less than two hours, your entire car is primed to explode,” and I have no way to know which. Not that it will stop me from trying. I already know that, sometime before I bring it to a mechanic (and probably while my wife is watching), I will open up the hood of my car and stare thoughtfully at the collection of unintelligible parts in front of me. My brow will likely be furrowed. “The anti-carbonation injector is jammed,” I will say emphatically. “Maybe.” And then I will take it to someone who knows what they are doing, because I know in my heart that if I tried to tamper with any of those rubber hoses, my car would shoot transmission fluid out its exhaust pipe the next time I honked the horn. After the mechanic has examined my car and explained the problem to me in a language I don’t understand, he will tell me that the part he needs to fix my problem is only manufactured in a war-torn country located in the Baltics, and that I will have to personally provide the airfare for the five secret agents who will be risking their lives to smuggle it into the United States. I will do this because I desperately want my transmission fluid to remain doing whatever it does in the transmission. Transmissioning, I guess. It’s not that I’m stupid. 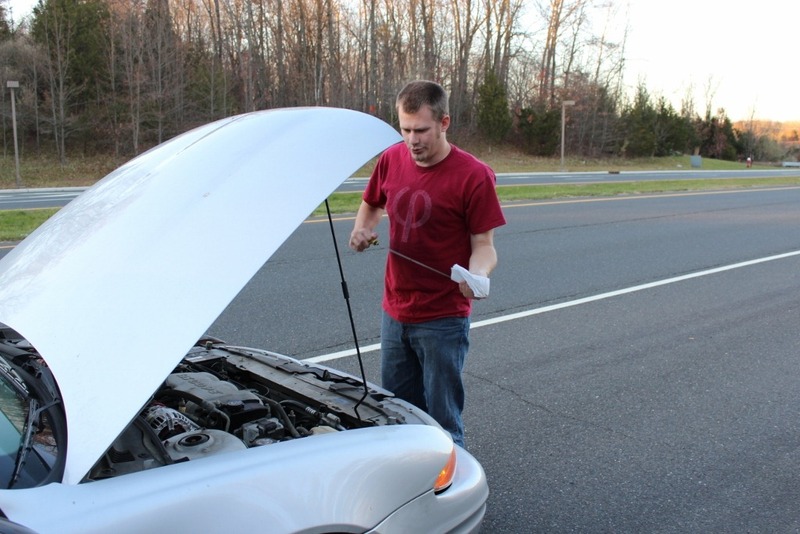 I regularly change my own oil, and I’ve even (with help) swapped out a radiator and an alternator on separate occasions. I just don’t have the working knowledge of a car’s innards like a mechanic does—and even if I did, I likely wouldn’t have the tools required to get the job done right. If there’s a problem that takes much more than duct tape, WD-40 or Google to fix, I’m going to be seeking out a professional—someone with the knowledge and the resources to ensure the job gets done the way it needs to be done. And yet, I’m amazed at how often I and others take the opposite approach when it comes to life’s problems. 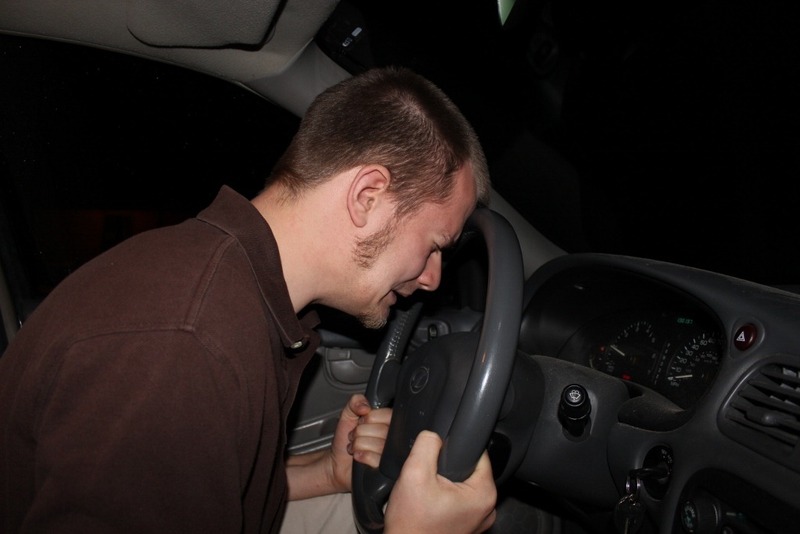 When the “SERVICE ENGINE SOON” light comes on in our own lives and we realize something’s wrong, our first reaction can be to confidently pop open the hood and start ripping out and replacing parts we know nothing about. Almost inevitably, those “improvements” tend to backfire in undesirable ways and make the matter worse—all because we tried fixing the problem before we were even sure what that problem was. God designed your every working part; He has an intimate and perfect understanding of every little thing that has, will, or could possibly happen in your life and how it can affect you. Before you go trying to rebuild your entire engine based on your best guesses, why not consult your Creator? This is the same God who designed the complex interactions of the universe on an subatomic level and set the planets revolving around their respective suns; it’s safe to assume He can also show you the reason for your “SERVICE ENGINE SOON” light. Read through the book of Judges and you’ll see a historical account of what this approach to life produces—more than anything, you’ll find a lack of order, safety, consistency and a degraded quality of life. That’s the same thing that happens when we try to fix ourselves without God’s help. When we ignore God’s infinite wisdom and act on our own ideas of right and wrong, we will find ourselves living a life filled with confusion and worries, falling consistently short of its potential. 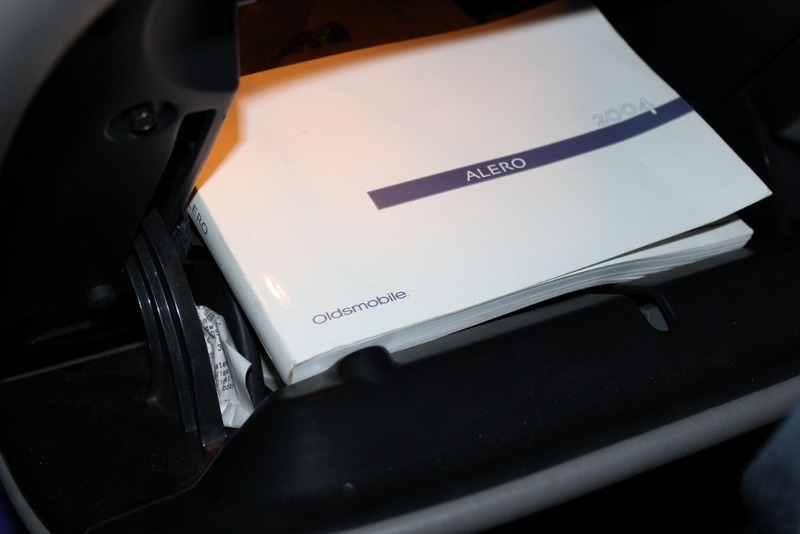 Inside your car’s glovebox, probably buried under napkins and old receipts, is a thick little manual that explains how to take care of your car. It explains everything from how to turn it on to exactly how many pounds per square inch of air your tires need to be properly inflated, but there’s no way it can get that information to you if you don’t first open it up and read it. Our owner’s manual, the Bible, was inspired by our Master Mechanic. We talk to God through prayer, and the Bible is one way He talks to us. It doesn’t make sense to call up a mechanic, tell him your car has a problem, and then hang up before he can answer—and it makes just as little sense to ask God for His help and then not read what He has to tell you in the pages of the Bible. If you want to know how to live your life to its maximum potential, read the manual. The Author knew what He was doing when He inspired it to be written. This is a lesson I learned the hard way. When my brother-in-law and I tried to replace my car’s alternator, I went to O’Reily’s Auto Parts, I told them my car’s make, model and year, I bought the replacement part, we opened up the hood, and found…that it didn’t fit. Which was awesome. Long story short, we found out my car changed its models mid-year, which meant the alternator I had was designed to fit in the car one model year behind mine. It looked just like the part we’d taken out, it performed the same function as the part we’d taken out, but it just didn’t fit right, no matter how many times we tried to muscle it on there. It didn’t matter that it was only one model year away from what we needed—it could have been one hundred years away and been just as useless. If you don’t have the right part, you can’t do the right job. The Bible tells us, “There is a way that seems right to a man, but its end is the way of death” (Proverbs 14:12; 16:25). After we’ve gone to God and studied His Word for an answer to our difficulty, we can sometimes trick ourselves into thinking we’ve found a replacement part that works just as well as what God prescribed. Sometimes, like in my story, we might honestly believe we’re putting the correct part in place, only to meet with frustration and wasted effort. There are parts that look right to us, but unless we’re absolutely sure that they’re the ones God told us to use, they can only end in headache. In our physical, day-to-day lives, we take our cars to mechanics when the problem is beyond us because they have the knowledge and the ability to fix what’s broken. In our spiritual lives, we can—and must—take our problems to our Father, since He is the only one in the universe with the understanding and capacity to repair us. With Him, we have the added benefit of a Mechanic who never makes mistakes and who can perfectly diagnose and help us to correct the problem. 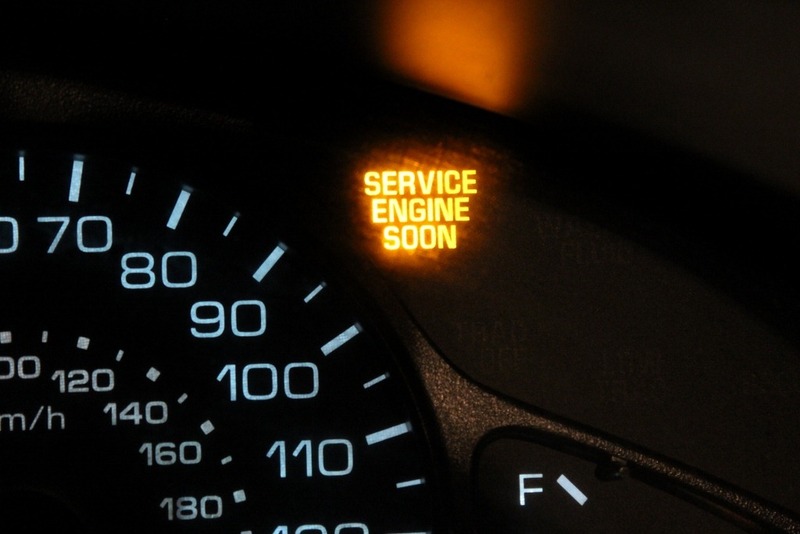 The “SERVICE ENGINE SOON” light in your life need not be a mystery. As Daniel told King Nebuchadnezzar, “there is a God in heaven who reveals secrets” (Daniel 2:28), and there is no doubt that He can do just that in our own lives. Ultimately, how you approach a problem in your life is your decision—but there are smart decisions and there are stupid decisions. Trying to do it your own way is undoubtedly a stupid decision. As for me and my house, we will have our cars serviced by the Lord. 3 Responses to "“SERVICE ENGINE SOON”"
I really appreciate this, today especially, as my engine light came on today! I love the spiritual parallel you drew from a frustrating situation. By the way, there are a couple typos if you want to fix them: in the 4th paragraph “my card would shoot ” instead of “car”. 5th paragraph “explained the problem to me a language I don’t understand” missing the word “in”. Haha! I guess I was off my grammar game when I wrote this one…those errors are fixed now; thank you for pointing them out. Sorry to hear about your engine light 🙁 I cringe every time mine comes on. Hope it’s on the cheaper end of things! Jeremy – You must be human to make a typo! The main thing is that you take the time to encourage us and ALWAYS point us to our Creator! I don’t know you personally – but we GREATLY appreciate your efforts!